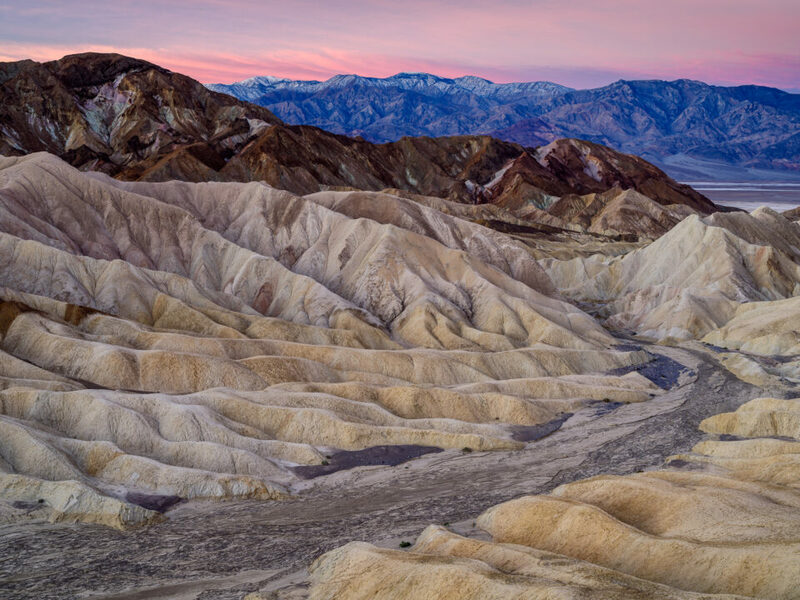 Being one of the largest national parks in the United States, Death Valley offers many amazing opportunities for photographers. It is the hottest, lowest and driest place in the United States where daytime temperatures can top 130°F in hot summer months. 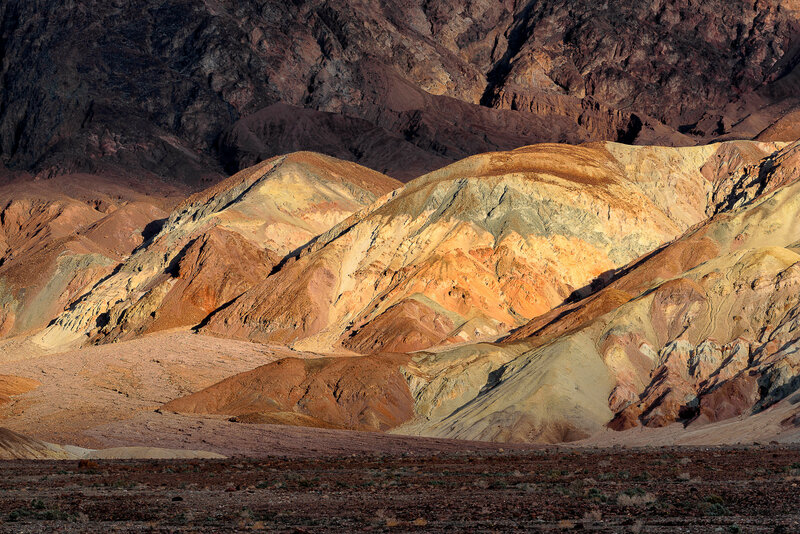 However, during the colder months of the year, Death Valley becomes spectacular in its own, unique ways. 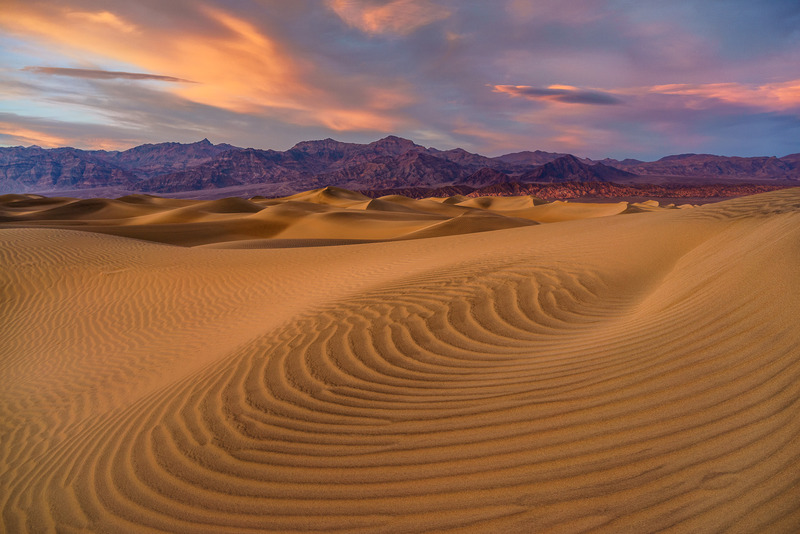 And that’s what we will be capturing during the Death Valley Workshop! 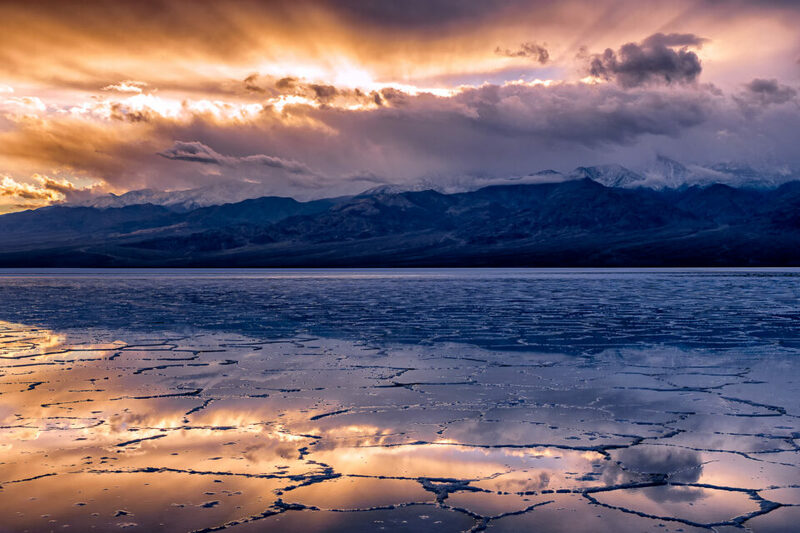 I have been going to Death Valley National Park for many years now and I have been fortunate to witness many stunning and unique moments at the park. Its vastness, unbelievable colors, features and the many types of landscapes allow me to see and experience something new each time I visit the park. 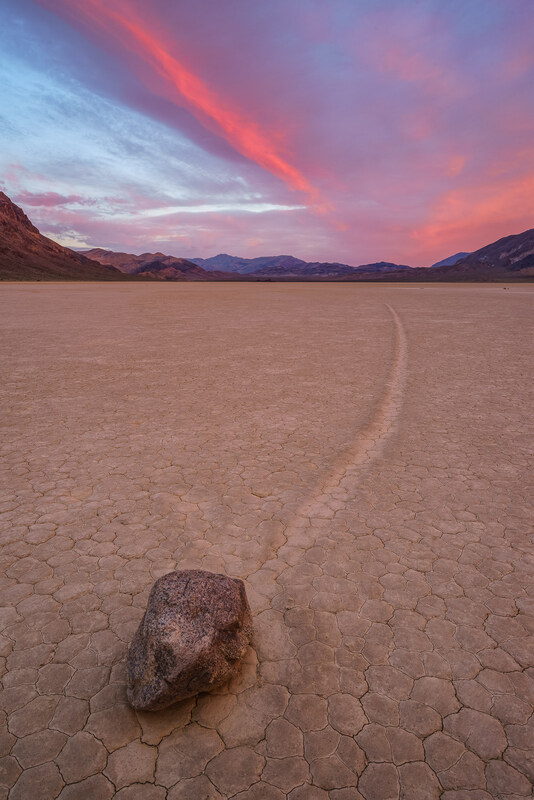 Although one can certainly explore Death Valley on their own, it is often difficult to navigate through the park and know exactly what locations work for certain types of shots without prior research. And even if one is very familiar with the landscape, lack of photographic knowledge, whether it has to do with camera gear, light, composition, framing or subject, can negatively affect the outcome. 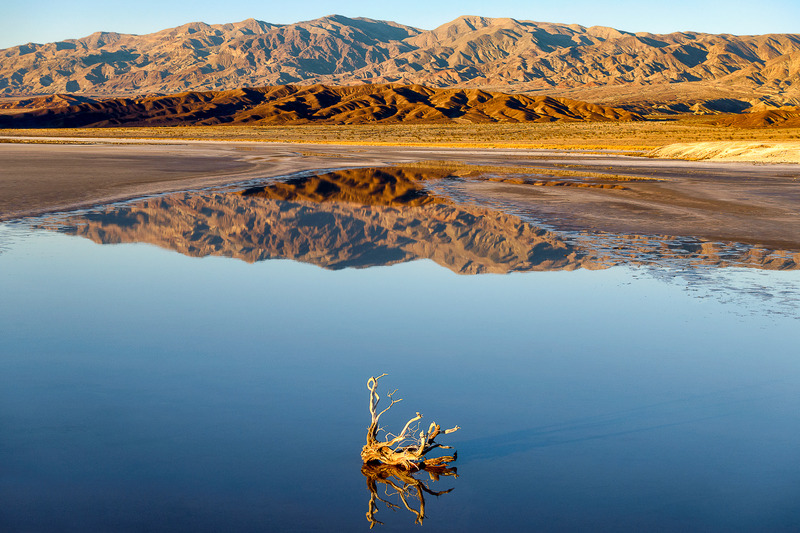 For this reason, this workshop is not just designed to be an excursion and a guided tour of Death Valley, but also an intensive learning experience that will leave you with substantial knowledge of photography that you will be able to utilize in the future. Our workshop will take place from November 19 to November 24, 2019 and will span a total of 6 days. Our workshop will take place from January 14 to January 19, 2020 and will span a total of 6 days. If you are coming from another state, I would recommend to fly into Las Vegas, rent a car and drive to the park. You will find cheap fares to Vegas from every major airport and rent prices are very reasonable as well, especially during the off-season months. When driving from Las Vegas, you can either take US-95 North, or you can also take the southern route NV-160 West to CA-190 West. If you will be driving during the day, I would recommend to take the southern route, since you will be driving through the park and you will get a chance to see some of the beauty the park has to offer. It is about a two and a half hour drive from Las Vegas. If you will be coming from western California, the best route would be to take CA-190 East through Panamint Springs. Most of Death Valley National Park has very well-maintained roads. Since we will be staying on main roads, you don’t have to worry about renting an expensive 4×4 – even a small sedan will do. 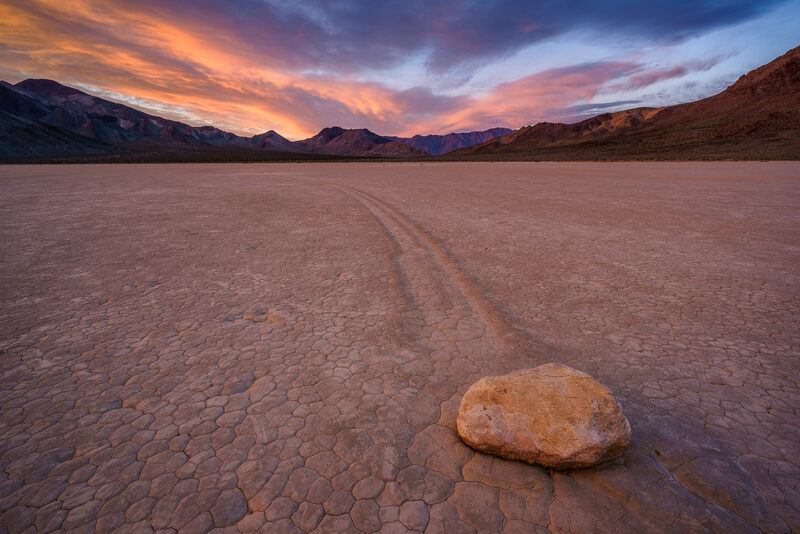 We will not be driving to the Racetrack Playa and other far corners of the park due to time constraints and potential road hazards. Due to proximity to Mesquite Flat Sand Dunes and other hot spots, we will be staying at the Stovepipe Wells Village. Workshop participants are free to choose their accommodations, so you can either stay at the Stovepipe Wells hotel or at one of the RV sites. Since there are only 14 full-hookup RV sites available, if you want to stay in one of those spots, we would recommend to get your reservation taken care of early, as the sites get booked up many months in advance. Stovepipe Wells also has a campground operated by the National Park Service, but those sites are only available on a first-come-first serve basis. Please note that we will have limited space in each car for gear, as we will be loading up every car with up to 4 people to reduce the number of total vehicles on the road – please consider reducing the amount of gear you will be taking with you. If you don’t have any high-end gear, please do not worry – this workshop is aimed at making you a better photographer, irrespective of the gear you own. Wide angle / ultra-wide angle: If you have a wide angle zoom lens, like a 16-35mm that can take filters, it would be an ideal choice for photographing subjects up-close. Normal range: A 24-70mm or a 24-120mm would probably be your most used lens during the workshop. Telephoto range: There will definitely be good opportunities for using telephoto lenses as well, so we would recommend to grab a 70-200mm or a 70-300mm telephoto lens. If weather permits and you want to get out at night for some astrophotography, you might want to consider bringing a fast wide-angle prime, like a 24mm f/1.4 or f/1.8 lens. A tripod is an absolute must for this workshop. Please take a good, sturdy tripod – see our article on choosing a tripod for recommendations. It will be needed for both sunrise and sunset shots. Don’t forget your tripod quick release adapters (we have had people before who forgot those). If you only shoot on a tripod, make sure to grab one that is easy to setup (provided that it is not flimsy), so that you are not making the whole group wait. There will not be any need for monopods or other camera support gear. Polarizing filter: a must-have for landscape photography, especially for reducing haze in the atmosphere. If you don’t have one, please purchase one as soon as possible. We will be bringing a couple of 77mm polarizing filters just in case, but it is always recommended to bring your own. GND filter: for sunrise/sunset shots, a soft-edge graduated neutral density (GND) filter is another item we would highly recommend. Take a 2 stop and a 3 stop GND. If you want to only take one filter, take a 3 stop soft-edge GND. Don’t forget a filter holder, as it will be easier on your fingers, especially in cold mornings. If you do not know much about filters, please see the following articles for detail: Must-have filters for Landscape Photography and Lens Filters Explained. We recommended bringing a laptop for the post-processing class (either PC or Mac), since we will be going over workflow and post-processing in detail. Don’t forget to bring a flashlight, memory cards and extra batteries. Batteries deplete much faster in cold weather, so we would recommend to bring 2-3 batteries with you. 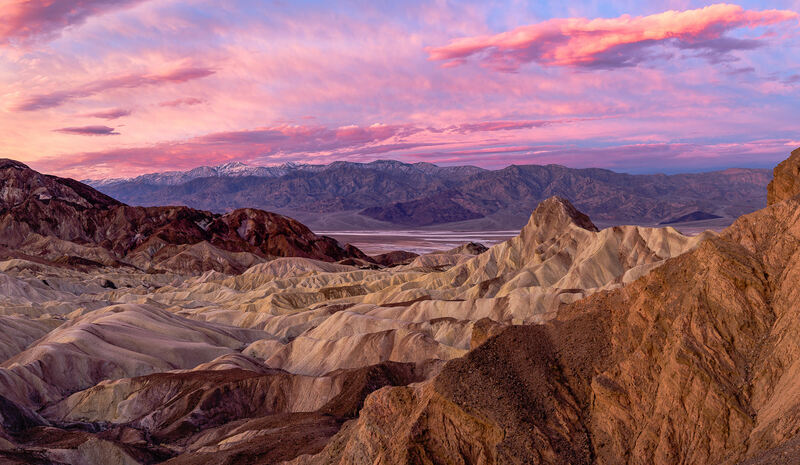 The months of November and January can get quite cold in Death Valley, especially at night! Bring a winter jacket (water-resistant is preferable, in case it rains) and some clothing to layer up. Bring warm underpants / leggings, gloves and a warm hat that covers your ears – you will thank us later! 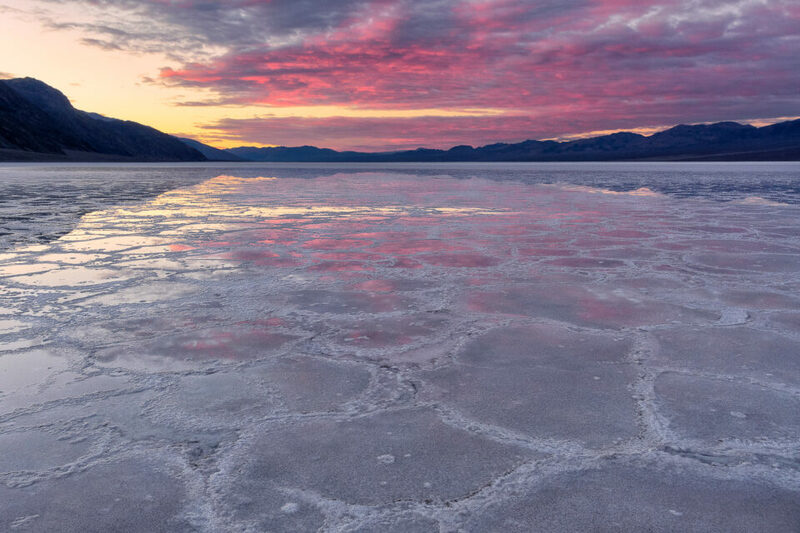 As for shoes, warm water-proof hiking shoes are a must, especially for walking on the salty Badwater Basin. You read that right! Please bring your most favorite 10 images you have captured so far. Please bring a processed JPEG and the original RAW, if you have it. This will be needed for the critique / post-processing section and we promise, you won’t regret attending that part of the workshop! Every participant from prior year workshops found a lot of value in this session. Some workshop participants choose to only select images from the prior days of shooting, which also works, as you will get suggestions on how to properly post-process and improve those photographs. Everyone should be coming to the park a day earlier. Our first “meet and greet” session, along with a primer on landscape photography will take place on the first day of the workshop. Once you arrive at Stovepipe Wells and check in, please ask the front desk staff to direct you to our meeting area. We will be meeting at 9 AM there on the first day, per schedules below. Please note that the above schedule is subject to change – any changes to the schedule will be emailed in advance to all workshop participants. 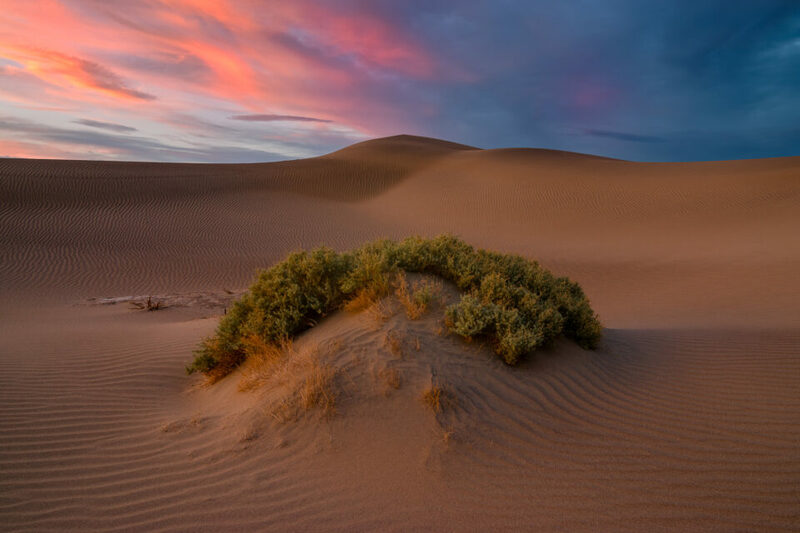 Please note that although we will be traveling by cars to all the photo spots, some moderate to intensive hiking will be needed, particularly in areas like Mesquite Flat Sand Dunes and Badwater Basin. In some areas, prolonged hiking for 3-4 miles on rough terrain might be required! Therefore, we require our workshop participants to be in good health condition. You will be asked to drink a lot of water / fluids during the workshop to avoid dehydration, headaches and other problems associated with the desert climate. We will be requiring each participant to sign some forms on the first day of the workshop and the instructors will go over park rules and regulations as well, as required by the National Park Service. The workshop cost is $1499 per participant. This cost excludes flight, car reservation, lodging, food and other related costs. 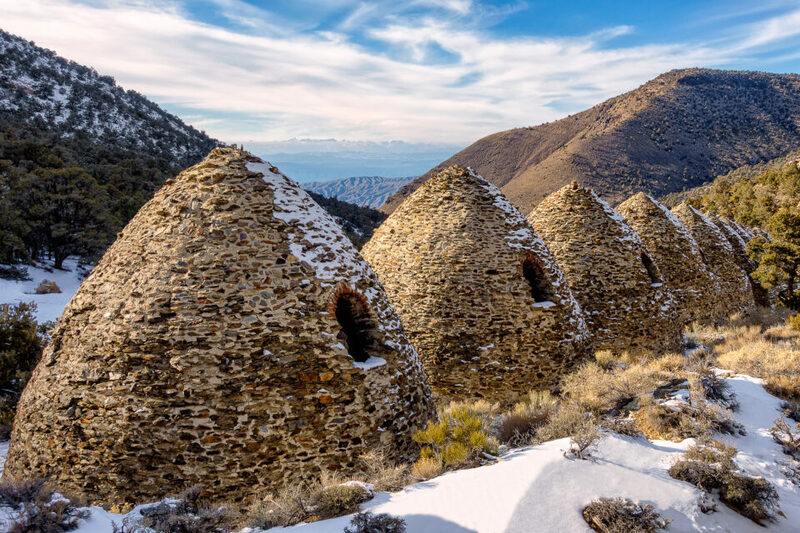 Workshop participants will be responsible for arranging their own flights, accommodations and ground transportation to and from the workshop location in Stovepipe Wells. Previous workshop participants will be discounted at a grandfathered rate of $999. If you have attended any of our workshops in the past, please let us know and we will credit back the difference. In order to sign up for the above workshop, please use our secure Workshop Registration page. Please note that the workshop fees are fully refundable up until 90 days prior to the workshop. We will not be able to provide a refund after this date due to planning and coordination issues. In the event of workshop cancellation due to unforeseen circumstances (natural disaster, government closures, injury, death, etc), collected workshop fees will be refunded (minus potential processing fees and permits acquired in advance). Photography Life will not be held responsible for airfare and other potential expenses incurred due to workshop cancellation. hi, what is the age requirements for any of your trips? I have the same question. Is there a waiting list? The same question: Is there a waiting list ? 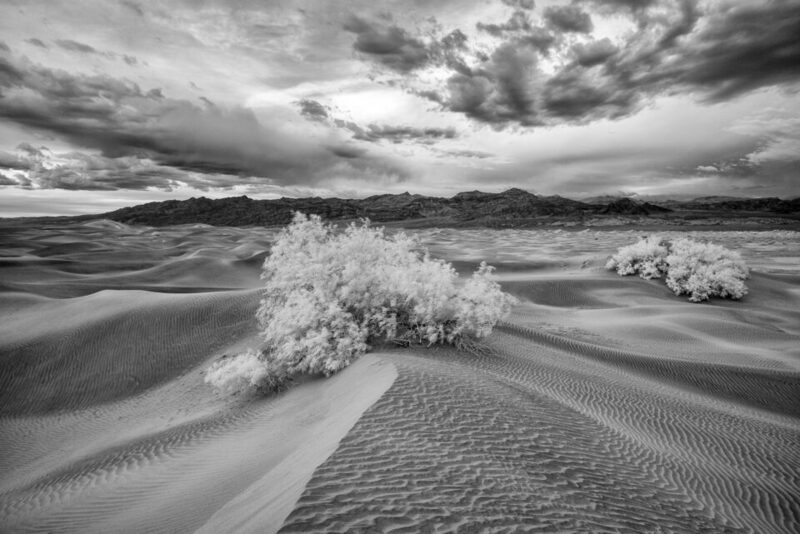 Is there an opening for the Jan-19 Death Valley workshop? If not, is there a waiting list? What do you have in store for us in 2019? John, we do have openings, but it won’t last – please register using the workshop registration link as soon as possible. John, we have limited availability for both dates. Please sign up as soon as possible. I’d like to sign up for the 2020 Death Valley adventure. Please enroll me at the geezer rate: Jordan, 2018 survivor. Steve, it is great to hear form you :) I like the “Jordan, 2018 survivor” tag, LOL! Please sign up via the link above and I will make sure to credit back the grandfathered rate! Your spot is reserved and I am looking forward to seeing you! I just registered for the Jan 2020 workshop and am a good friend of Steve Sholl. Does that entitle me to the “geezer” rate also?